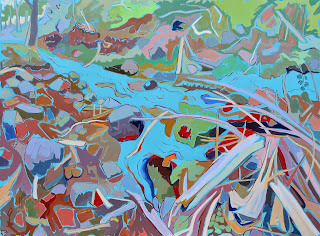 blue stream tangled wood, acrylic on canvas, 36" x 48"
Tooke's abstraction of the landscape is based on response to the energy of the environment around her. Beginning with an underpainting that sets a powerful tone to the work, she develops a shorthand for dealing with the elements of the landscape translating the dynamics of the landscape into a visual image. Lines of energy, sweeping forces of wind and the dynamics of water are interpretive and expressionistic. With influences stemming from Anne Meredith Barry and Emily Carr, her palette exaggerates and simplifies the existing colours found in nature, substituting bold contrasting colour to emphasize elements in the composition. Forms are delineated with complimentary colour; the image is flattened. Patterns create the textures of the rocks, earth, waves and their inhabitants to express the ‘soul’ of the landscape. Susan Tooke was chosen for a media arts scholarship by the Centre for Art Tapes (2014-15), and is currently working with sound, video and animation to create virtual environments based on threatened wilderness spaces. As a member of the multimedia collaborative team Motion Activated, she continues her partnership with Véronique MacKenzie (dance/choreography) and Lukas Pearse (interactive composer and multimedia designer) using computer manipulation of video and photography to further explore ideas of time and motion as related to the human figure. Her continuing studio practice in painting, illustration, and digital montage inform her work in media arts, employing stop motion animation, drawing and painting incorporated into video clips of the dancer. Ms. Tooke received her BFA from Virginia Commonwealth University and graduate studies in Media from the New School for Social Research in New York. She is a three-time winner of the Lillian Shepherd Memorial Award for Excellence in Illustration. 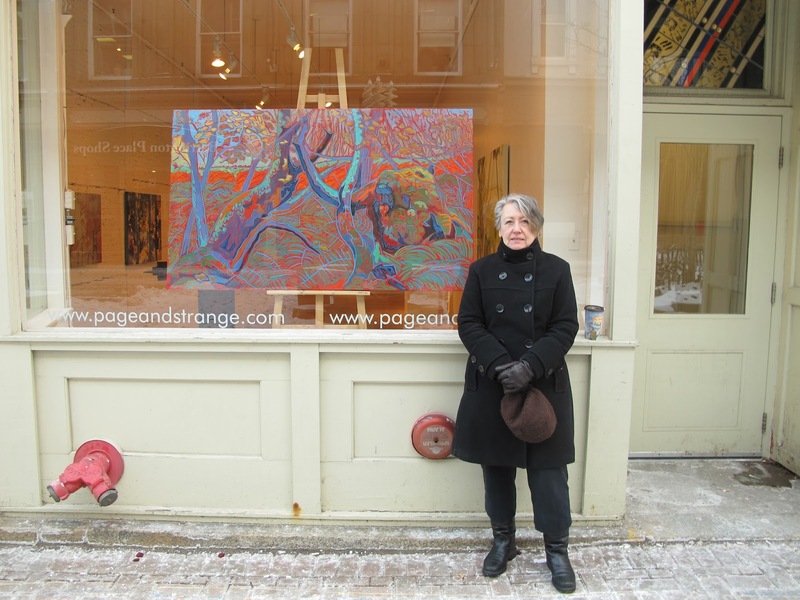 Her studio paintings are represented by The Sivarulrasa Gallery, Almonte, Ontario. April/May Bloom: Sivarulrasa Gallery show of 4 artists, Almonte, Ontario. November 7 Established Artist Recognition Award—Visual Arts. projection with dance and sound, collaboration with MacKenzie and Pearse. August 2015 White Rabbit Arts Residency & Festival, Upper Economy, Nova Scotia. 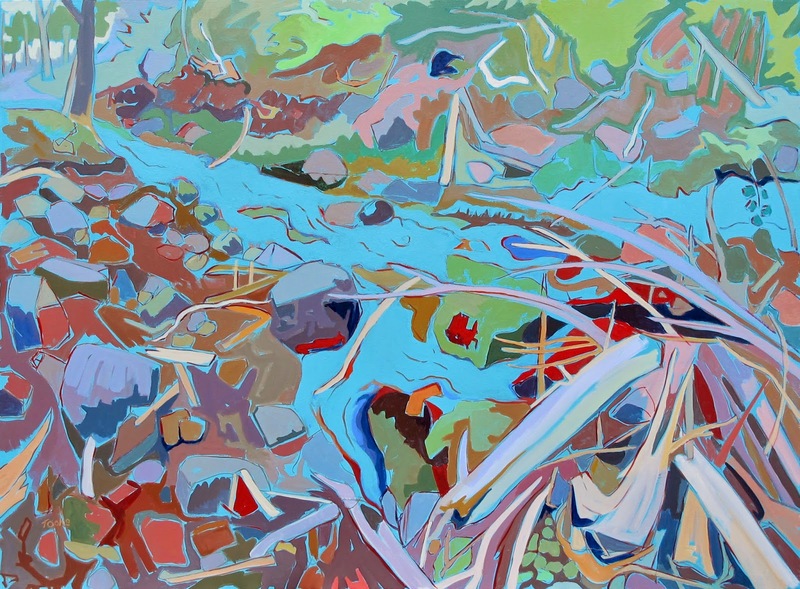 April 2015 Nova Scotia Art Bank purchase of painting: Dry Stream Bed, Fishing Cove Trail. rare environments, (video,audio,animation), Bus Stop Theatre, Halifax. August 2014 Media Arts Scholarship awarded by the Centre for Art Tapes. April 2014 Lasso the Wind: Aurélia’s Verses and Other Poems, shortlisted for the Libris Award. artwork by Susan Tooke, Nimbus Publishing, The Lillian Shepherd Memorial Award. Mary’s University Art Gallery, curated by Robin Metcalfe. April 2012 Depths of Sorrow: Titanic 100- Motion Activated-Multi-media. January 2012 Kinetic Studio: Motion Activated(page two) with Veronique MacKenzie/Lukas Pearse. October 2011 Nocturne: Motion Activated (page one) with Veronique MacKenzie and Lukas Pearse. August 2011 Transformation: exhibition of recent paintings, Gallery Page and Strange, Halifax. May 2011 Professional Development: media, Department of Communities, Culture and Heritage. Drums, written by Shauntay Grant. February 2011 Creation Grant, Department of Communities, Culture and Heritage. February 2010 Residency, Leighton Artists’ Colony, Banff. by Her Honour Mayann E. Francis, ONS, DHumL, Lieutenant Governor of NS. Sept-Nov 2009 Up Home: Original paintings,The Black Cultural Centre for NS. April 18-June 14 Up Home: Original paintings, Art Gallery of Nova Scotia. April 2009 Up Home wins The Best Published Book Award, Atlantic Book Awards. April 2009 Up Home wins the Lillian Shepherd Memorial Award. Book of the Year Winner. June 2007 Industry Growth Investment, Department of Tourism, Culture and Heritage. States, Meridian International Center, Washington, D.C.
September 2005 Enduring Community Photomontage: Metepenagiag Heritage Park, Red Bank, NB. June-Sept. 2003 Beyond the Letters: A Retrospective of Canadian Alphabet Books, National Library of Canada. June 2003 Nova Scotia Arts Council, creation grant. May 2003 Mayor’s Award for Excellence in Book Illustration, HRM, Full Moon Rising. February 2003 Lillian Sheppard Memorial Award for excellence in Illustration (Full Moon Rising). Bonnemaison, Sir James Dunne Theatre. collaboration with Véronique Mackenzie, Ariella Pahlke and Sarah Bonnemaison. curated by Virginia Stephen, solo exhibition. 1999 Parks Canada-Monument Lefebvre National Historic Site, NB. 1998 Ryan Premises National Historic Site, Bonavista, NL, (digital photo montage). 1997 Halifax Citadel National Historic Site (paintings,illustrations,digital montage). AGNS Deputy Director, curator (touring). 2000 Nova Scotia Arts Council, Presentation Grant. 1998 Manhattan Arts International 1998 7th Annual Competition, NYC, NY- Artist Showcase Award. Gallery of Nova Scotia, Halifax, Robin Metcalfe, curator. 2011-present Creative Nova Scotia Leadership Council. 2009-present Past President, CARFAC Maritimes. 2011 Juror, Governor General’s Award for Illustration. 2006 Juror, Governor General’s Award for Illustration. 2003 Juror, Governor General’s Award for Illustration. 1999-2000 Chairperson, Visual Arts Nova Scotia. 1995-1996 Artist in Residence, Saint Mary's University Art Gallery Media Centre, 1995-1997. 1994, 1995 Juror, Nova Scotia Art Bank Purchase Program. 1993-1995 Member, Board of Governors, Art Gallery of Nova Scotia. 1977 New School for Social Research, New York City: postgraduate, Media Studies. 1972 Virginia Commonwealth University, Richmond, Virginia: B.F.A. My abstraction of the landscape is based on response to the energy of the environment around me. Beginning with an underpainting that sets a powerful tone to the work, I develop shorthand for dealing with the elements of the landscape. I work to translate the dynamics of the landscape into the visual image. Lines of energy, sweeping forces of wind and the dynamics of water are interpretive and expressionistic. With influences stemming from Anne Meredith Barry and Emily Carr, my palette exaggerates and simplifies the existing colours found in nature, substituting bold contrasting colour to emphasize elements in the composition. Forms are delineated with complimentary colour; the image is flattened. Patterns create the textures of the rocks, earth, waves and their inhabitants to express the ‘soul’ of the landscape. Over the past four years, I have been working with Lukas Pearse, Véronique MacKenzie and Tim Tracey exploring media arts. The results have been exciting projects with Motion Activated (Lukas and Véronique), and Depths of Sorrow, the commemorative multidisciplinary work created for the 100th anniversary of Titanic tragedy. Pearse: Saint Mary's University Art Gallery, Halifax, curator: Robin Metcalfe. October 2011 Established Artist Award: Short list. Sept. 2009 Up Home: Original paintings,The Black Cultural Centre for NS. April 2009 Up Home: Original paintings, Art Gallery of Nova Scotia. Children's/Young Adult Book of the Year Winner. June 7, 2007 Industry Growth Investment, Department of Tourism, Culture and Heritage. Award, Bruneau Family Children’s Literature Award. 2005 Brave Jack and the Unicorn, original paintings, Government House, Halifax. April, 2002 Atlantic Booksellers’ Choice Award, short list, A Fiddle for Angus. Gallery of Nova Scotia, curator, Robin Metcalfe. Sarah Bonnemaison, Sir James Dunne Theatre. 2011 Creative Nova Scotia Leadership Council. 2011 Carfac National: board member. 1994,1995 Juror, Nova Scotia Art Bank Purchase Program. 1996 Nova Scotia College of Art and Design, Halifax, computer graphics.